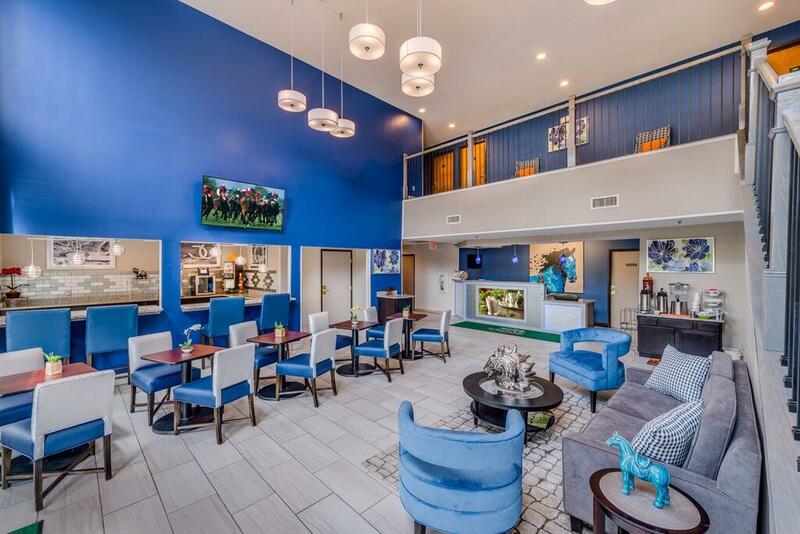 Our newly renovated GuestHouse Inn & Suites Lexington is centrally located to top attractions, including the University of Kentucky, Rupp Arena, Keeneland Race Track, and Kentucky Horse Park. Conveniently situated off Interstate 75, our affordable hotel in Lexington, KY is pleased to offer complimentary parking to make your stay easy and stress-free. We proudly serve complimentary hot continental breakfast each morning, and if you feel like being active, come have a swim in our indoor heated pool or work out in our modern fitness center. We are 100% non-smoking and equipped with complimentary Wi-Fi Internet access throughout the hotel, keeping you connected and comfortable during your stay. ADA accessible rooms are also available. Our 24-hour front-desk service is ready and waiting to help you upon arrival at our Lexington, KY hotel. Please contact property directly for package rates. Please note, there are no elevators at our hotel. 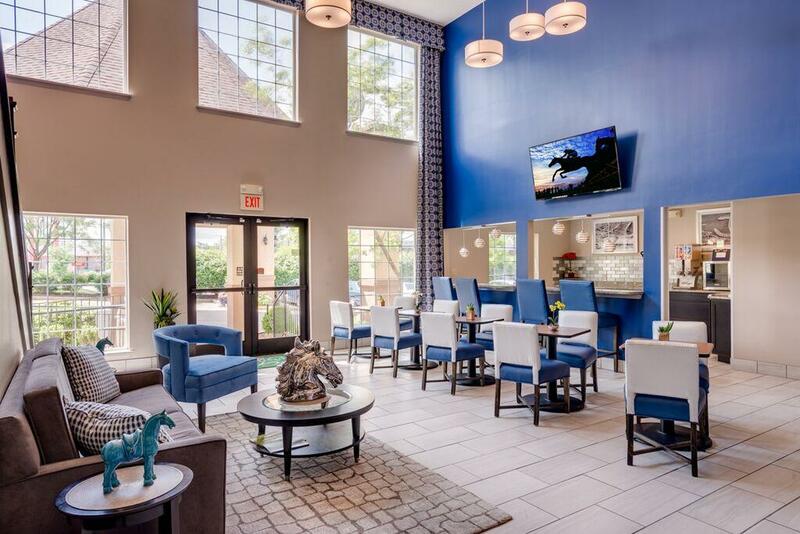 Come experience one of the top hotels in Lexington, KY near Rupp Arena, the University of Kentucky and the vibrant downtown area while enjoying affordable accommodations with complimentary breakfast and an onsite swimming pool. GuestHouse Inn & Suites Lexington warmly welcomes Lexington business travelers to our hotel. Just a 5-minute drive to downtown Lexington and right off Interstate 75, we are centrally located to all Lexington businesses. We prove complimentary wireless internet access, 32-inch flat screen television in each room, complimentary local calls and voicemail service. We also have a business center in the lobby with complimentary computer and printer access. Our property features a boardroom that can hold up to 16 people. Our boardroom is ideal for business meetings, sports teams, and small groups. For a fun in the bluegrass state, GuestHouse Inn & Suites Lexington is a centrally located hotel for Lexington family vacations. We are located near some of the best attractions in the state of Kentucky. 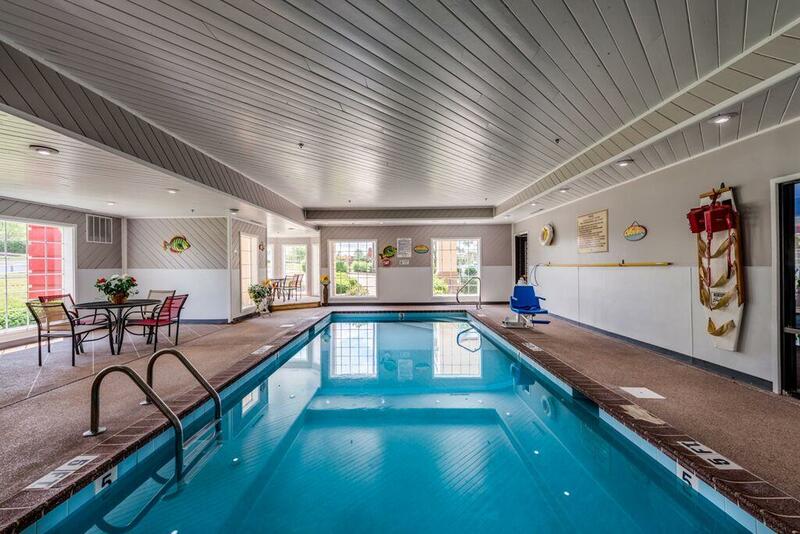 Our well appointed rooms and heated indoor pool are perfect for relaxing between vacation hot spots. 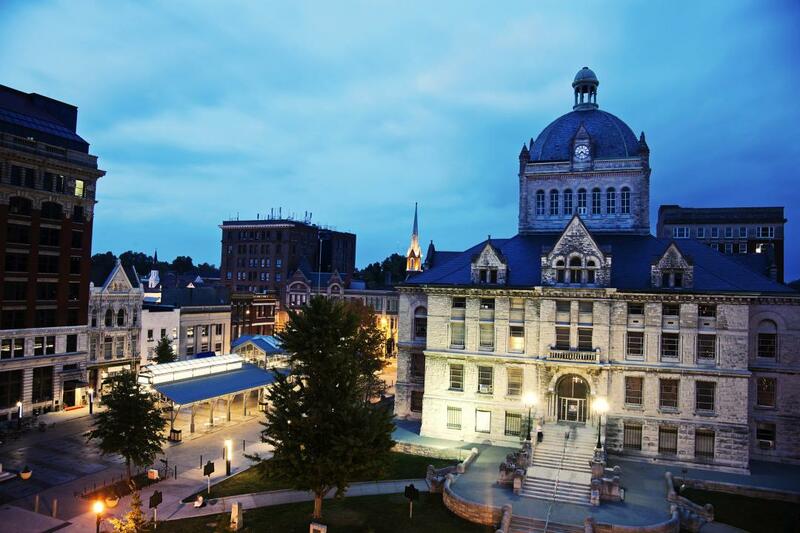 Just a couple of miles from downtown Lexington, there are tons of interesting places to visit within a few minutes' drive, including Rupp Arena, the Red Mile Harness Track, Kentucky Horse Park and more Lexington family activities. Our Complimentary Hot Continental Breakfast includes a variety of items sure to satisfy the hungry traveler for satisfying Lexington dining. The hot menu varies slightly from day to day, and includes several hearty choices. Many more restaurants in Lexington await. For your next group events or Lexington conferences, choose the GuestHouse Inn & Suites Lexington. 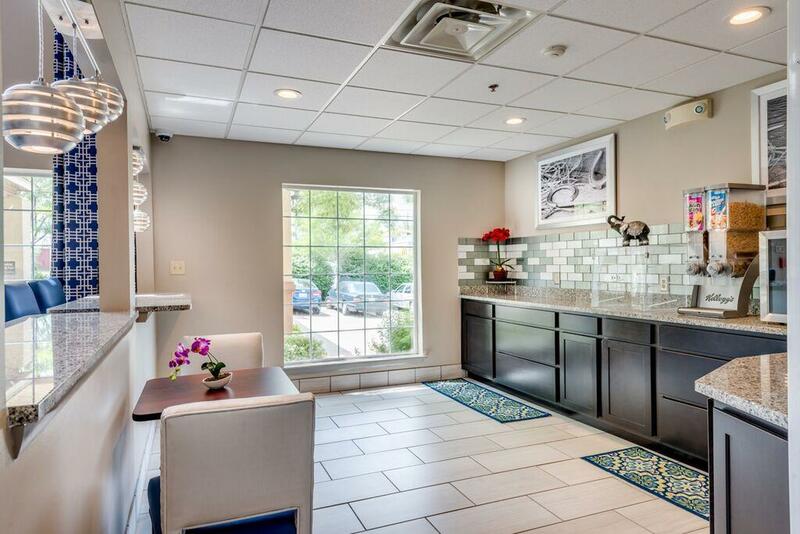 With our convenient location and exceptional service, our Lexington, KY property is the perfect choice for your stay. Our hotel offers complimentary hot continental breakfast, spacious well-appointed rooms for up to four persons to a room and a comfortable hotel lobby and breakfast room to gather in during your special event. When seeking a flexible, Lexington venue, look no further than GuestHouse. Home of the University of Kentucky Wildcats. This 23,000 square-foot arena houses concerts, family shows, and everything in between. Alltech Lexington Brewing and Distilling Co. is the producer of award-winning beer and spirits and one of the few joint brewing and distilling operations or "brewstilleries" in the world. Since its founding in 2000 by Irish entrepreneur Dr. Pearse Lyons, founder and president of Alltech, its Kentucky Bourbon Barrel Ale has grown to become the brewery's flagship brew, capitalizing on the brewery's proximity to fresh Kentucky bourbon barrels. This horse race track hosts harnessing racing, a type of horse racing where horses must pull two wheeled carts called skullies while racing. The track was founded on September 28, 1875. The track is the second oldest harness racing track in the world and the oldest horse racing track in Lexington. This gorgeous mall is open from Monday through Saturday from 10 am to 9 pm, and Sunday from 12 pm to 6pm. It features many stores including Banana Republic, Dillards, Express, JC Penny, Macy's, and a food court with several restaurants. The place to get close to horses, this is the leading tourist attraction for all things "horse." This park features some of the finest equipment facilities in the nation. Hours are 9 am to 5 pm from March 12 to November 2. Hours from November 3 to March 11 are 9 am to 5 pm, during this time park is closed on Monday, Tuesday, and Holidays. Founded in 1936, this historic race track offers live racing throughout April and October. The track also offers guided and self-guided tours throughout the year. The oldest and smallest distillery in Kentucky traces it origins back to 1797 when Elijah Pepper began distilling in Woodford County. At the Woodford Reserve Distillery you will experience the only copper pot still and triple distillation process used to handcraft bourbon today. Tour and Gift Shop Hours are from 9 am to 5 pm Monday through Saturday, distillery closed on holidays. Shaker Village is the site of a religious community of shakers that was active from 1805 to 1910. This National Historic Landmark offers tours of it's Living History Museum daily from 10 am to 4 pm. Shaker Village also offers seasonal village admission, wagon rides, and riverboats ride during the months of April through November. 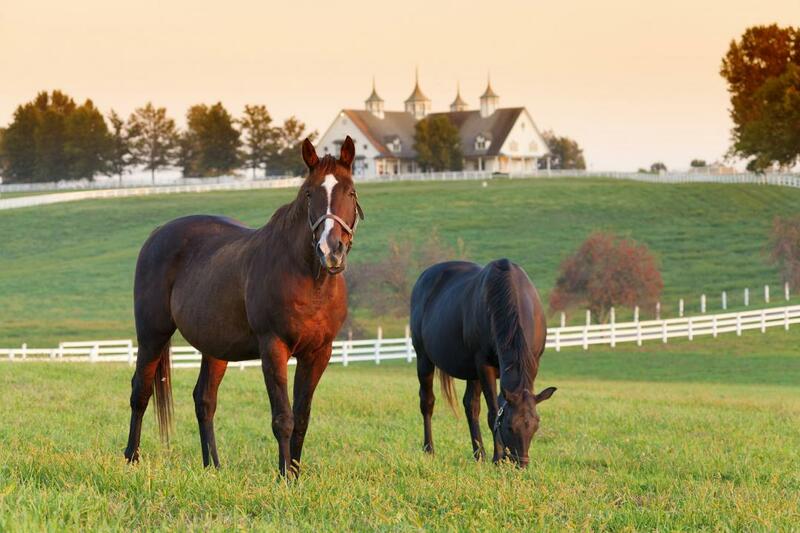 The ultimate equine destination, Kentucky Horse Park is one of the top Lexington attractions for equestrians. Featuring everything from the International Museum of the Horse, the American Saddlebred Museum - the Showplace for Saddlebreds, a horse drawn tour and equine presentations, you'll learn, marvel and enjoy the company of these beautiful animals and the people who work with them. Kentucky Horse Park consists of multiple attractions exploring the history of horses. There's the Breeds Barn Show, highlighting an astonishing array of various breeds and their characteristics in half hour presentations. The Hall of Champions features legends of the horse world, past and present. There's a kids barn, offering activities specifically for the young ones, as well as a walking barn tour. Visit during your stay with us for one of the most extraordinary equine experiences available anywhere in America.